First! Don't miss this month's Caption Contest. It's a fun and adorable one!! Scroll down, or click here. 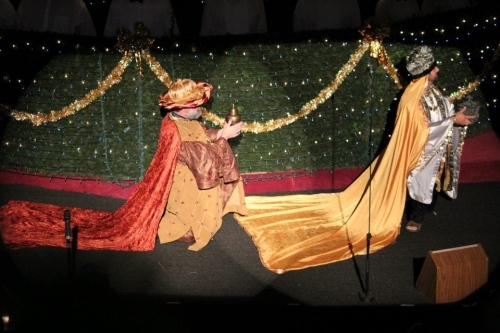 This year's addition was telling the story through the first few years of Jesus' life and included the wisemen's gifts. Another church friend made these costumes. From scratch and no patterns. They are stunning! 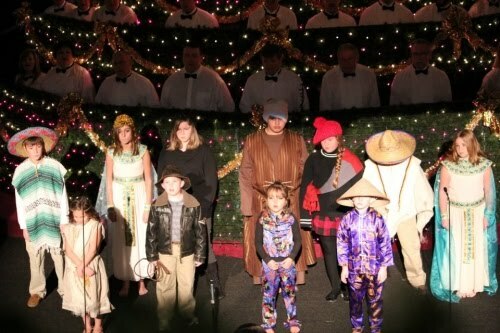 What's a Christmas program without children? This year they were dressed as children around the world. 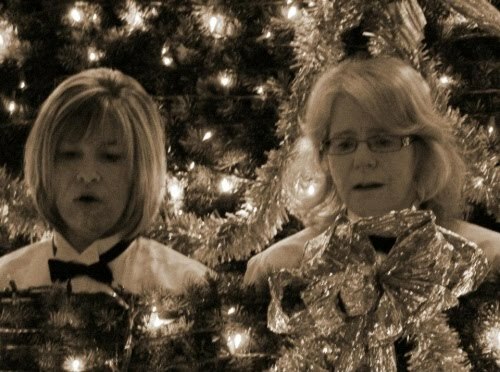 For another post, and more pictures of our living Christmas tree, just a different year, scroll down to the next post: It's the Clothes. I love living Christmas trees. My church did huge cantatas for Christmas and Easter every year. So miss doing them. 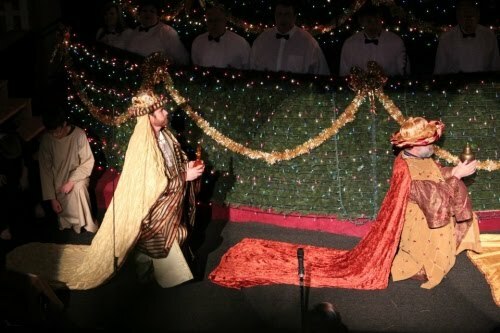 But we've been going to a new church and they did an amazing musical this year! Hope I get to join in next year! I've only once saw a living Christmas tree, Really neat! How fun to be a part of one. You do indeed have a special Church. A wonderful reflection of the season and reason we choose to celebrate our Savior's birth. Merry Christmas! Love you! That is so cool! I'd love to see that someday. 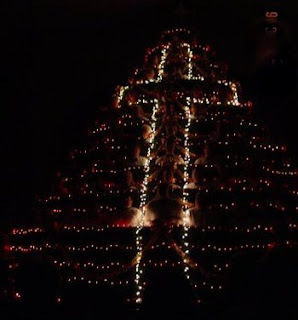 I LLLOOVVVVEEE that you post about this each Christmas, cuz I think it is INCREDIBLY beautiful. Would love to see one some time. All three churches I have attended have had Christmas eve services, but we've never made it because of our family's Christmas eve thing. I'd love to see/hear one of those someday. 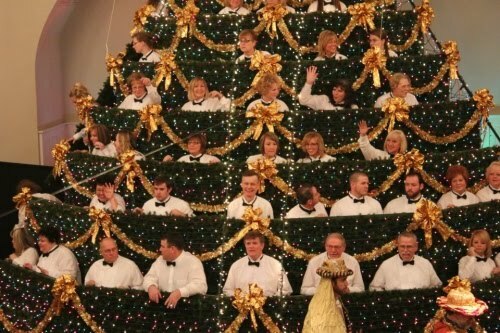 Our whole church wouldn't take up one tier of your tree, probably, let alone have an audience left over! I love living Christmas trees. 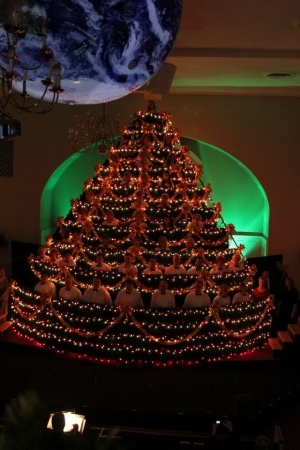 My church did huge cantatas for Christmas and Easter every year. So miss doing them.